When I had the first inklings that my journey to midwifery had already begun, I started looking everywhere for stories of Asian American Midwives. I didn’t care what their background was, whether they attended births at home or in the hospital…I was just hungry to hear about the experiences of other students who share a similar cultural background. Of course, my identity as an Asian American is complicated some by the fact that I’m a Korean American adoptee, which in many Korean American circles amounts to me not really being “Korean” Korean. I wanted to know more about the history of Korean midwives, and of Korean American midwives. Surely there were some around, somewhere. And although in the years since, I’ve actually met another Korean adoptee who’s a midwife, I haven’t met that many more folks in the midwifery community who identify as Asian American. And, I’ve only found one book out there that explores the history of Asian American midwives, Japanese American Midwives: Culture, Community, and Health Politics, 1880-1950. This book has been on my to-read list for a while…and now seems like a great time. I’ll be sharing what I learn as I read…and would love to hear more of your stories as well! 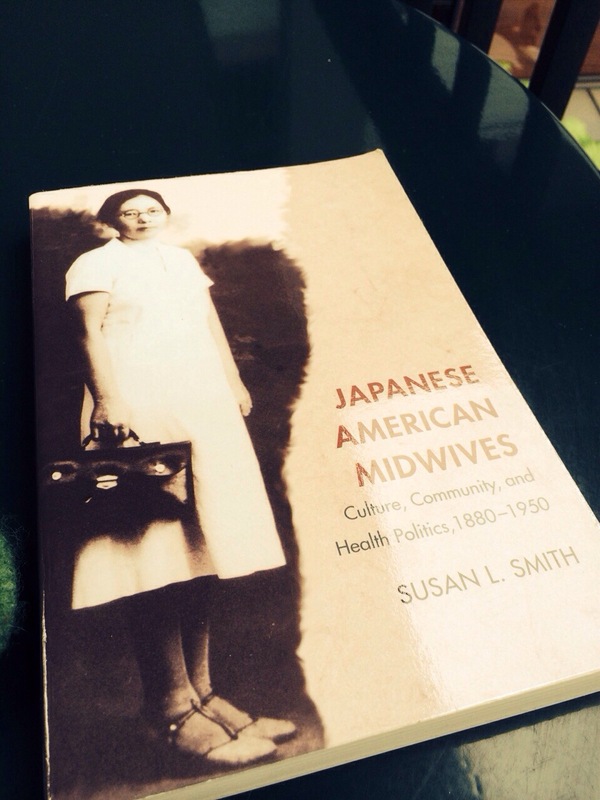 What do you know about the history of Asian American midwives in your community? Who did they serve? What drew them to their work? What were the challenges they faced? What traditions did they carry with them as midwives and healers in their communities? Yes! This on my reading list as well. As an Asian American nurse-midwifery student I have also struggled to find any AA nurse-midwife role models in my clinical experiences and even other women of color in the academic realm. Therefore when my dad presented me with this book on my first break back from school, I was elated to see these experiences of Japanese American women and for now, they’re my inspirational AA figures. I think it’s great what you’re doing with this website- looking forward to reading more! Y, welcome to the site! Please consider submitting a profile for the May project, I’d love to include you! Hello Lena! I have been inspired by your posts and look forward to your future updates as you read this book about Japanese American midwives. I am a Korean American adoptee as well, and l am planning to become a midwife. I have applied to graduate schools, and l am waiting to hear back from them. Like you, l have wondered, “Where are all the Asian/Asian American midwives?” I’m so glad to see you reaching out to Asian American midwives in hopes of building up a community of encouragement and support. There’s definately something to be said about having role models and inspiration from others who look like you.